In March 2019, Hyundai confirmed it will bring a new crossover to the New York Auto Show. The Koreans confirmed that it will be called Venue and released a not-so-revealing teaser. Come April, and we can see how it looks like before the official unveiling thanks to a batch of leaked photos. 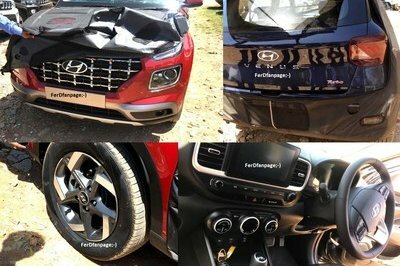 Specifically, someone managed to take photos of a prototype with some of the camouflage removed and the “Venue” lettering on the tailgate confirms that this is indeed the company’s upcoming crossover.